When a system start or “boots” as we call it, it isn’t exactly such a simple process. The system checks for the keyboard, then the RAM, then boots each and every driver in a sequence. It checks for the network, the USB ports, etc. Every function might not be in perfect state but if the basics are right, the system will boot. The information on what all processes were successful and what all failed is stored in a file called boot log. This file named ntbtlog.txt is stored at the location C:\Windows\ntbtlog.txt, where C: is the system drive. 1] Press Win + R to open the Run window. Type msconfig and press Enter to open the System configuration. 2] Go to the Boot tab and check the Boot log option. 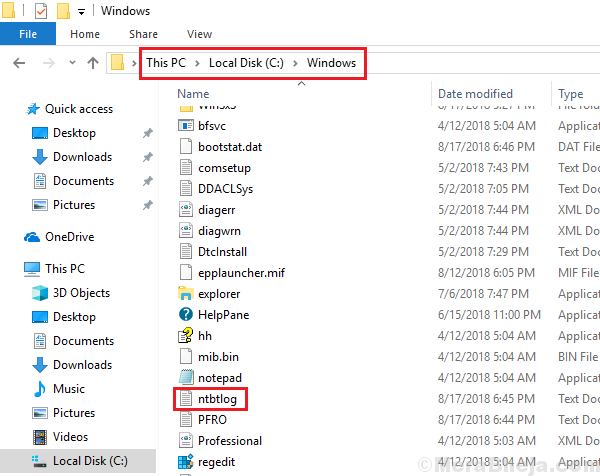 You would be able to access the Boot log file at the destination C:\Windows\ntbtlog.txt. 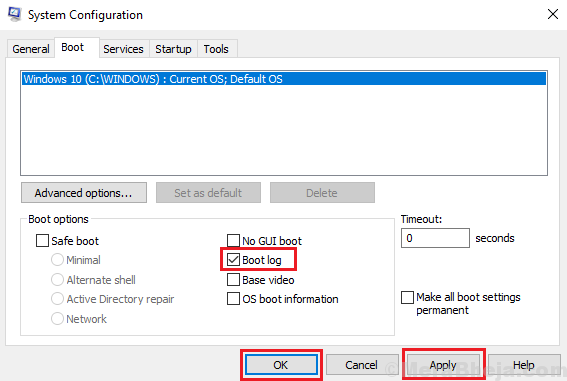 To disable boot logging through system configuration, go to the same window and uncheck the boot log option. Apply and save the settings. 1] Type Command prompt in the Windows search bar. Right-click on the Command Prompt option and select Run as administrator. 2] Type the command bcdedit and press Enter to execute it. 3] It would display a set of information. 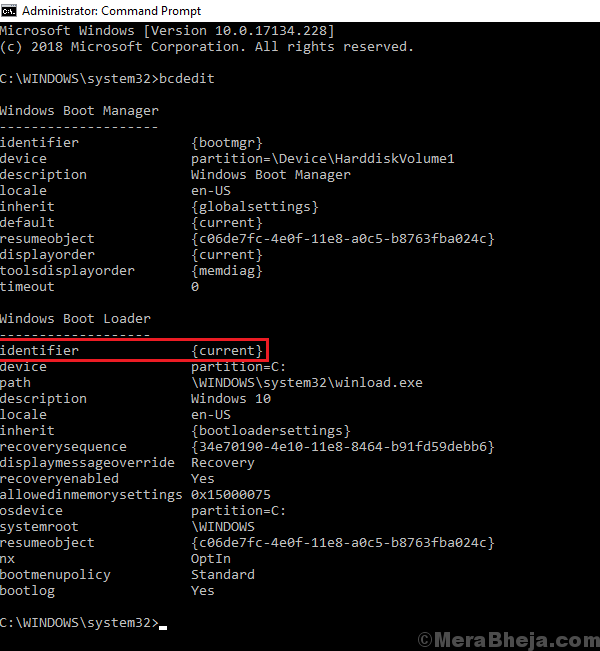 Please note the value of the Identifier in the Windows boot loader section. Please note that we have to note the value of the identifier from the Windows boot loader section and NOT the Windows boot manager section. 5] Restart the system. You would be able to access the boot log from the destination C:\Windows\ntbtlog.txt.